Professional framed shawn kemp jersey signed with COA. Coa is from Lynn Charles the community relations director with the Cleveland Cavaliers. 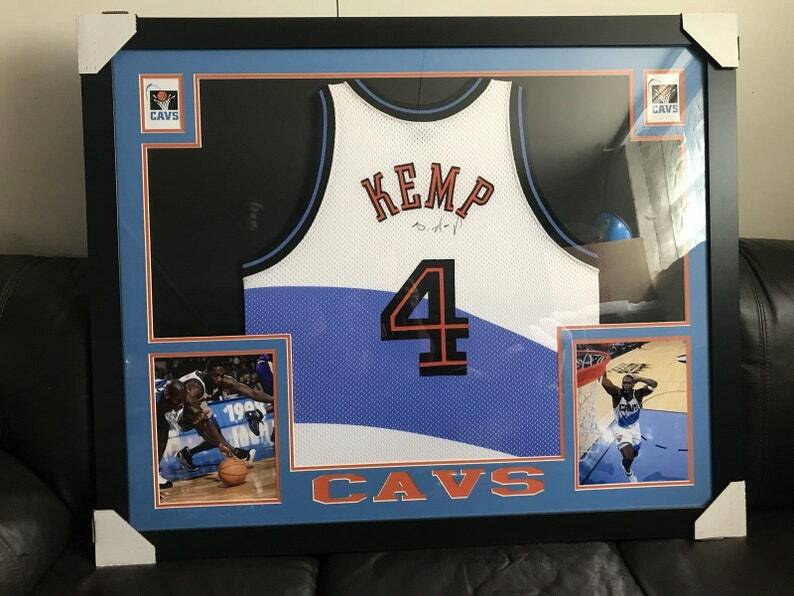 Pro-cut jersey was autographed by Shawn Kemp of the Cleveland Cavaliers in presence of Cavaliers personnel. Item came in a different frame and i had it re-framed by Big Picture Cleveland. Comes with original folder/paperwork. This was a season ticket holder give away item. Willing to deliver for free within 25 miles of Cleveland. Will drive further for a fee. Would consider shipping please email me if you need a shipping quote. Frame has no glass it is a hard plastic material. Still has original cardboard on corners. Has never been hung or used. Check out pictures to see what you get!